I’ve just been wondering what the translation of poğaça (pron: po/a/cha) could possibly be and have come to the conclusion that there isn’t one per se. 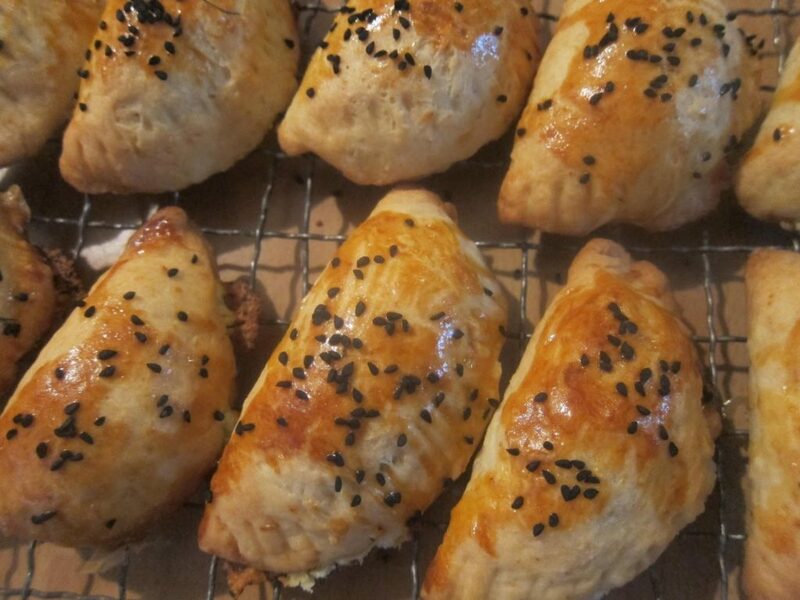 These are delightful little savoury pastries that come into their own with a glass of çay around 5 o’clock. Whereas we are the masters of cakes, buns, biscuits and scones, Turks are the masters of the little snack, either sweet/tatlı or savoury/tuzlu, generally known as kurabiye. These little poğaça are usually filled with white cheese or mince but friend Lütfi here who runs a boutique hotel has also suggested a sweet filling of chopped dried figs or dates and nuts with a sprinkling of cinnamon and sugar added to the basic dough. Sounds delicious! But that would be considered pretty radical. Anyway, if you want to try your hand at a well-loved Turkish favourite, I really recommend this recipe. 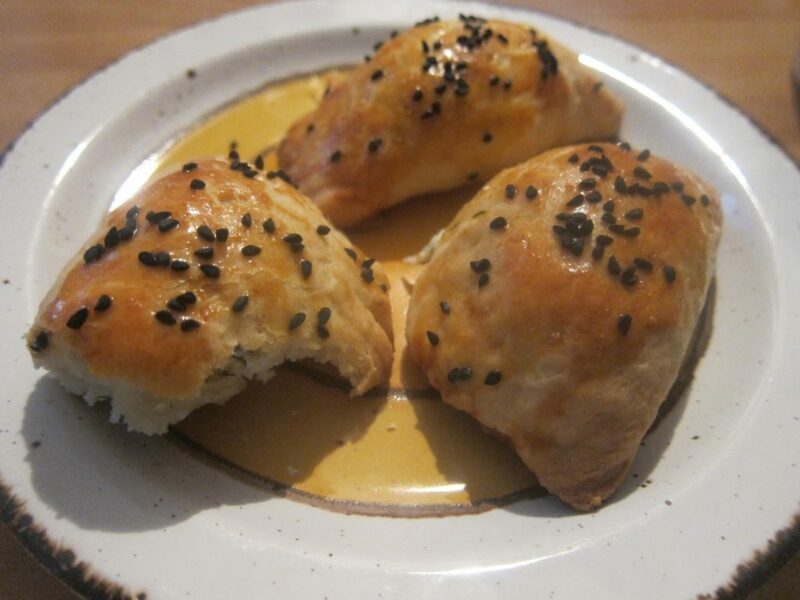 It reminds me forcibly of the borekitas I made with Madam Fortuna: this time, not a Jewish speciality, but something very similar and definitely considered Turkish. 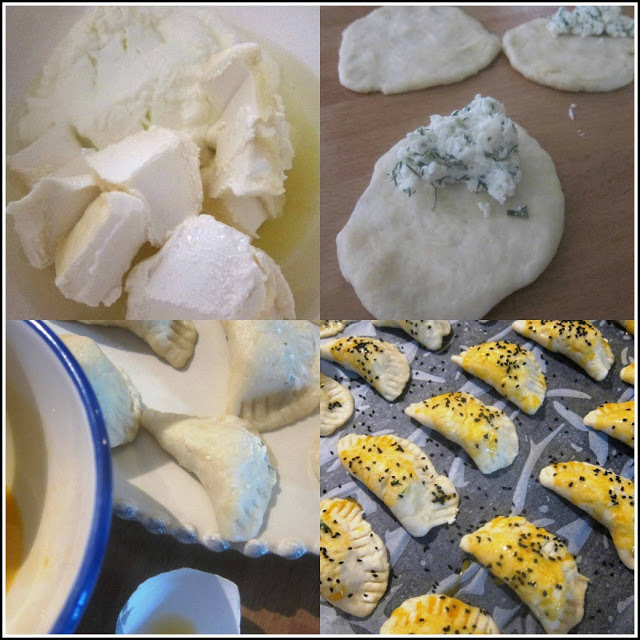 TT was thrilled when I made these so if you have a Turkish husband or partner and want to give him a treat, try them! This pastry, by the way, is a dream to make! Nothing like our shortcrust pastry which can be problematic especially in hot weather: no, this one always works, Lütfi says! All you have to do is knead the ingredients together to form a soft dough the consistency of which is as soft as your earlobe! This is always the given comparison and you know what? Even though it sounds funny to us, it’s very apt. I last made these here in Assos almost exactly two years ago! Here’s the link if you’d like to compare. The recipe is slightly different but nonetheless similar. Put it this way, I was very pleased with this one! Combine the chopped white cheese and the lor peyniri/ricotta with the chopped dill in a bowl. Set aside. Place the softened margarine, sunflower oil, lemon juice and salt in a second bowl and mix. Add the baking powder and flour and knead well until the dough reaches the consistency of an earlobe. Cover with a clean tea towel and leave for 20 minutes. Then take walnut-sized pieces of the dough and roll them in your hands. You can also roll them with a rolling pin on the counter. Each piece should be the size of a glass top. You can also use a rounded fluted cookie cutter. Place a tablespoon of the filling on each round and fold the pastry over to make a D shape. Pat to seal. I used a fork to flute around the edges but this fluting got lost in the baking. I think this is more appropriate for Cornish Pasties! Place each pastry on an oven tray lined with greaseproof paper. Brush each one with the egg yolk and sprinkle with the nigella seeds and sesame if using. Bake at 180C/350F degrees for 25 minutes. Serve warm with freshly made çay or tea! I don’t know anybody who doesn’t like these! So, not difficult to make, pantry ingredients, nothing fantastic, and really, really light and delicious! These poğaça are at their best slightly cooled out of the oven when they smell fantastic, but the next day is also fine! You can also reheat. Bound to be a hit!Afiyet olsun!